About 10 years ago, Dana Suskind, a pediatric neurosurgeon and cochlear implant specialist at the University of Chicago, started noticing something about her patients, infants born deaf and fitted with cochlear devices that allowed them to hear. Some quickly succeeded at connecting sounds with words and concepts and learning to speak. For others, the struggle was much, much harder, even years after implantation. Stepping “out of the operating room,” as she puts it in her new book, “30 Million Words,” Suskind began studying the effect of language on the developing infant brain. She read the work of Betty Hart and Todd Risley, groundbreaking child psychologists whose study of achievement in the 1960s showed massive quantitative and qualitative differences in the “language environment” of lower-income and higher-income infants, including a gap of 30 million words spoken over the first three years. This study, among others, has catalyzed a generation of researchers and policy makers, from Washington, D.C., to Providence and Cambridge, as programs to close the “language gap” in early childhood have become increasingly common. The approach has its critics, who worry that the focus on numbers could easily turn into meaningless or stressful word-blather, or point out the small sample size in Hart and Risley’s research (later studies have found smaller but still significant gaps, and there’s plenty of variability within classes). For Suskind, the research was galvanizing, and she founded the 30 Million Words Initiative in 2009. The initiative is currently working with the City of Chicago on a five-year research grant to test whether the approach, applied early in Head Start programs, could help with the elusive goal of getting children ready for school down the road. Suskind spoke with Ideas by phone from Chicago. Below is an edited excerpt. The standards movement has trickled all the way down. IDEAS: How did you first got interested in language and development? SUSKIND: It was probably nine years ago, when I started the cochlear implant program at University of Chicago. And pretty early on, I started having patients, little babies, all with equal potential to learn how to talk and to learn, but I could see pretty tremendous differences in the outcomes. Some would be learning how to talk and learning how to learn on a par with their hearing peers. And others, the same time out, would barely be able to communicate. And that difference would really fall along socioeconomic lines. IDEAS: What’s the research behind the 30 million words concept? SUSKIND: The Hart and Risley study is the best known, but only one of many many studies that demonstrated that what was happening in my patients and their differences in outcomes really had little to do with their hearing loss but the world in which they were born. Their study demonstrated that a critical factor in a child’s ability to learn was his or her early language environment. Specifically, their study shows that by the end of the age of 3, children born into poverty will have heard 30 million fewer words than their affluent peers. What gets glossed over in their study is they found huge qualitative differences. 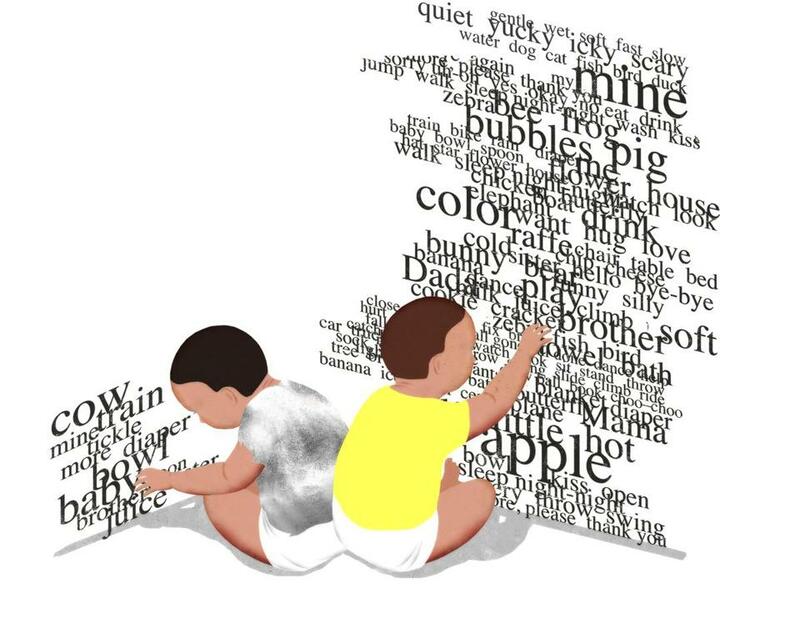 The 30 million word gap is more of a metaphor for the impact of the early language environment on the developing brain. IDEAS: So what’s the impact? What are some examples? SUSKIND: Your heart and lungs come out fully developed when you are born, but the brain is completely dependent on what it encounters on its ride to full development, and especially in the first three years there’s a huge amount of brain development that occurs: 80 to 85 percent of the physical brain will be developed in that time. And that brain is absolutely dependent on the language input, parent talk, and interaction, which is the key catalyst for creating those neural connections. A lot of people think of parent talk as just a way to build children’s vocabulary. But in truth, because it has such a fundamental impact on all the brain wiring, parent talk impacts all of brain function, from memory, emotion, to stability, [self-regulation], [to] spatial and math [skills]. IDEAS: How do you balance quantity of speech and quality? SUSKIND: Both are so important. Quantity drives quality. Going back to our research program and our curriculum development, we’ve culled it down to what we call the Three T’s, which is Tune in, Talk More, and Take Turns. So Tune In is really following your child’s lead, seeing what your child is interested in. Talking More is talking more about it using rich vocabulary, narrating your child’s day. Taking Turns is really viewing your child as a conversational partner and having a conversation back and forth. IDEAS: What kinds of results have you been seeing with your Chicago program? By the end of the age of 3, children born into poverty will have heard 30 million fewer words than their affluent peers. SUSKIND: We were able to show that parents understood more about their children’s language development, and that they talked more, had more conversations, used richer vocabulary, even increased their math and spatial talk, were more responsive to their children, and their children were doing better. But even more important, we brought the parents back, asked what did you like, what didn’t you like, and they gave us lots of input. This is their curriculum. 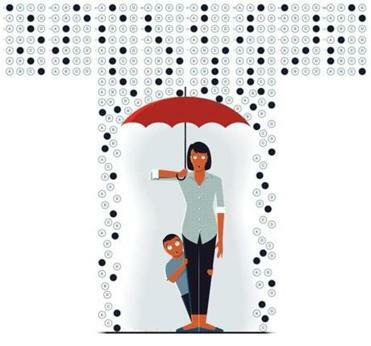 IDEAS: Critics of Rhode Island’s “Providence Talks” language-gap initiative have argued that it doesn’t account for variability within classes and could be stigmatizing or unhelpful to lower-income parents, many of whom do talk often to their children. How do you address that with your program? SUSKIND: There are certainly many high-income parents who don’t talk and many low-income parents who do talk. Our program is not about telling parents what to do, it’s about partnering with them and explaining the science. What parents do is up to them. IDEAS: What’s the end goal of your work? SUSKIND: We need to really think about what education in this country looks like. We need to align our policy with our science. And science is pretty clear that learning begins on day one, not the first day of school. The only way we’re going to ever move this needle is starting from day one.